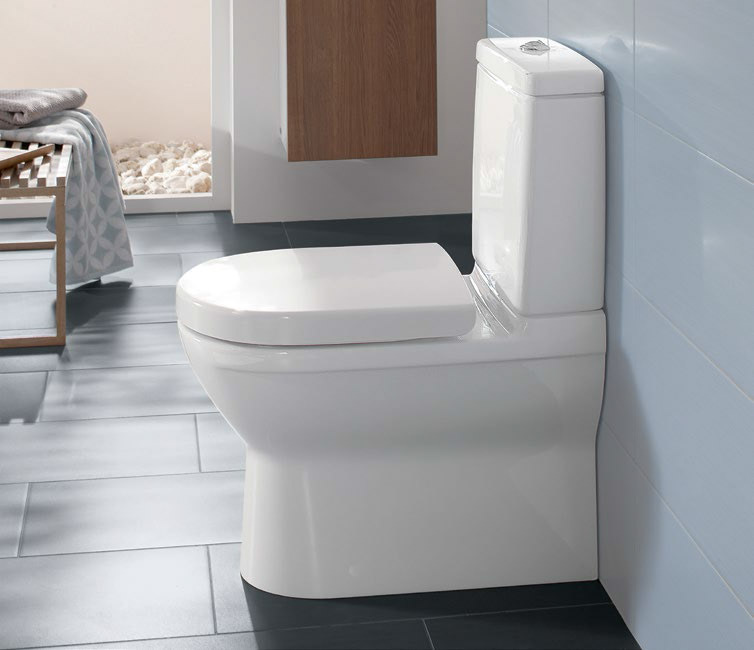 You’re looking for top class comfort as well as timeless design for your second bathroom? 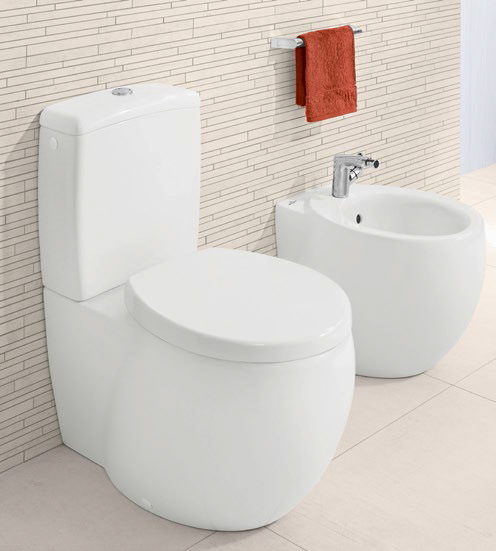 Then you’re going to be delighted by Vivia, a bathroom collection with lots of clever functional features for more comfort. 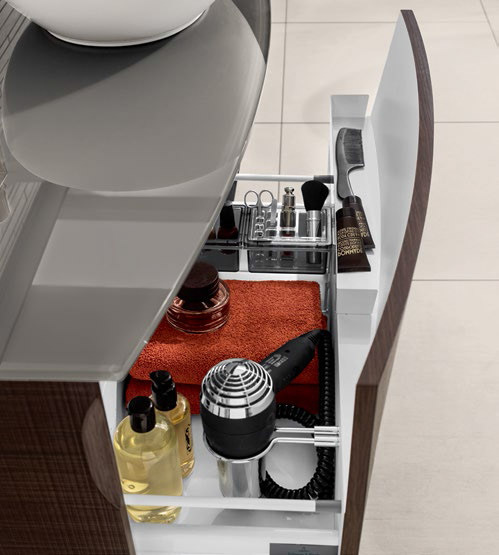 Enjoy the advantages of a furniture console with generous shelf space around an extra-deep washbasin. 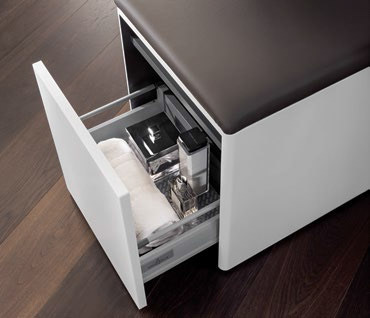 A practical upholstered unit on castors serves as a comfortable seat in addition to offering plenty of storage space. 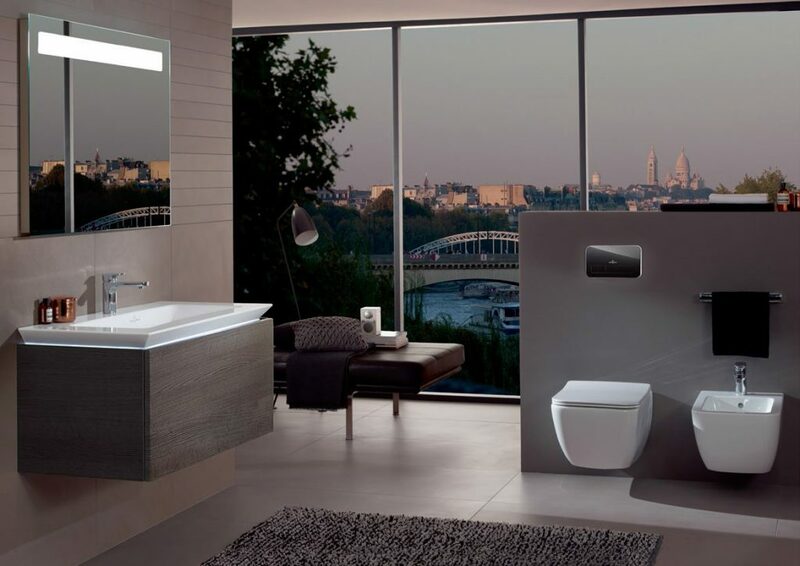 Discover the Vivia bathroom collection and indulge in the comfort you deserve! 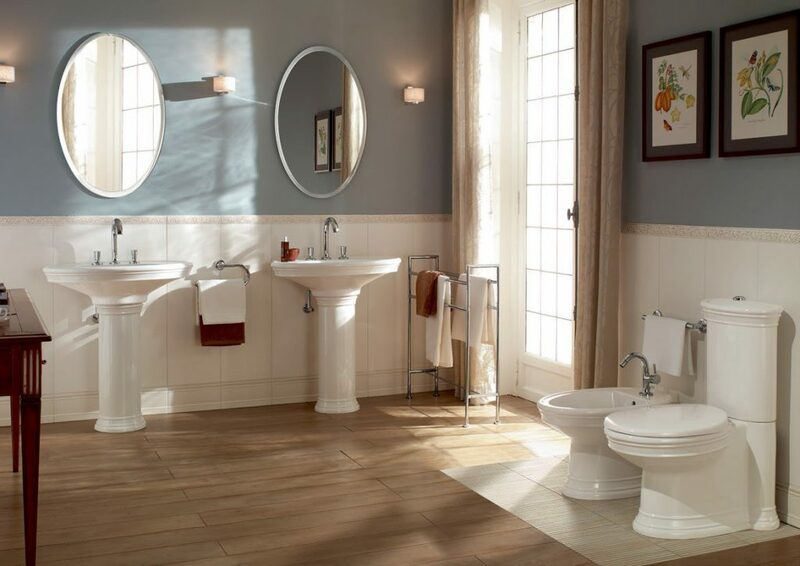 You’d prefer even greater comfort in the bathroom? Elegance is more than just beauty. It is also the portrayal of timeless sensuality. La Belle tempts with its elegantly curved lines: it’s all that dreams are made of – in a bathroom full of sensuous details, such as the floral La Rose décor. 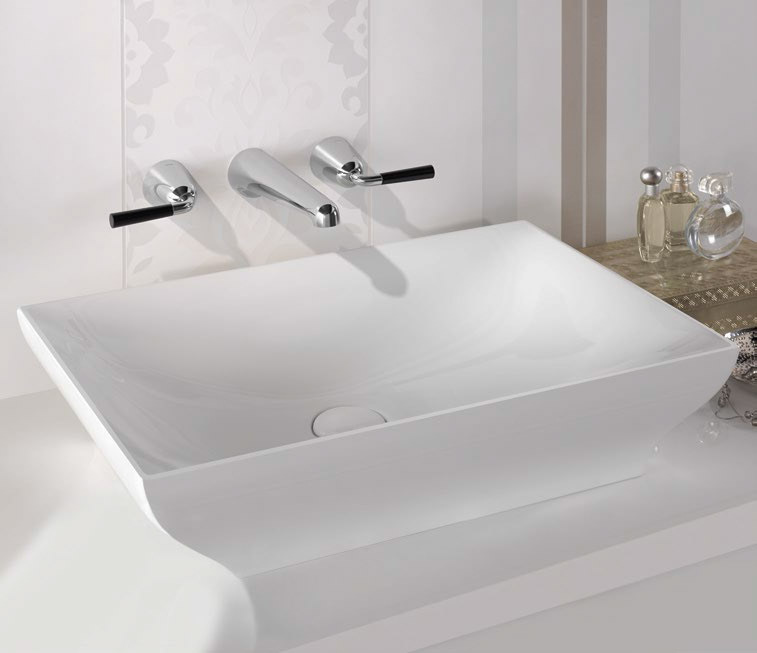 This harmonious interaction forms the soul of the collection and creates an unusually striking design. 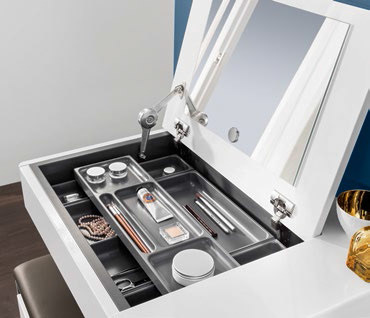 The La Belle furniture is not only extremely attractive, it also impresses with its very high standard of workmanship and generously designed interior. 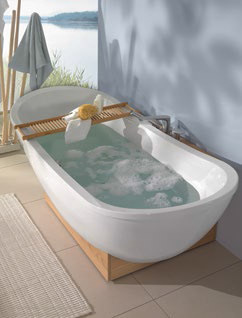 This is complemented by the comfortable Quaryl® bath, the free-standing model makes an especially extravagant statement. 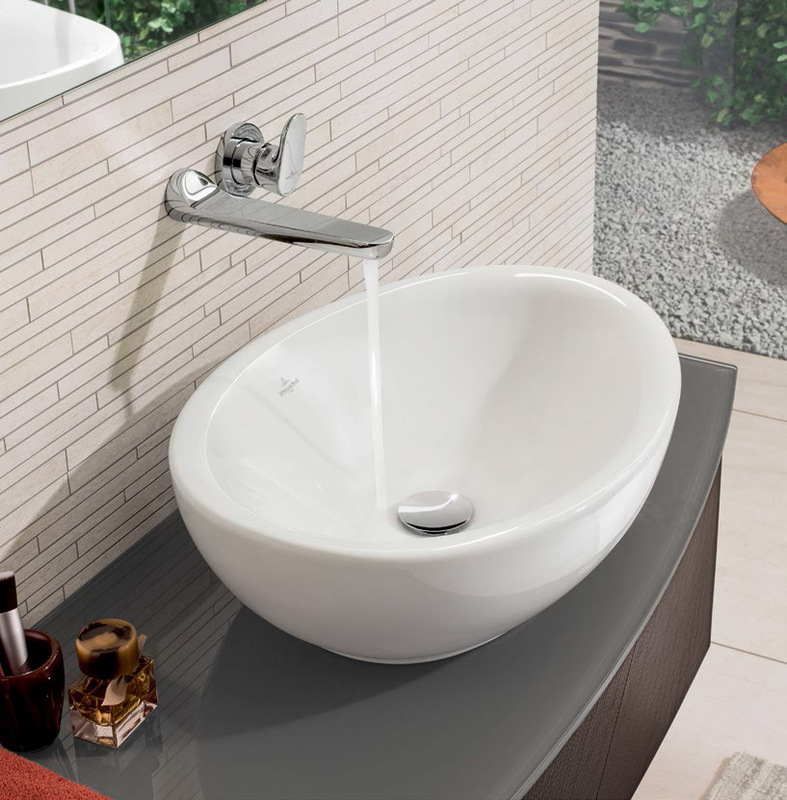 With an especially elegant basic form and decorative yet sleek ceramic contouring, Amadea lends a new lease of life to the historical models that inspired the collection. 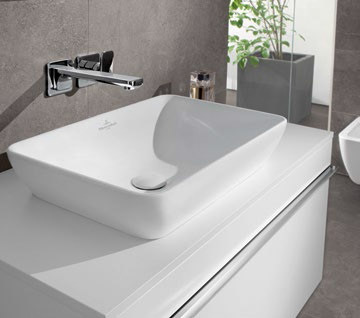 In addition to the pedestal washbasin that can be fitted in a free-standing position, the collection now also includes a ground washbasin: combined with a high-quality washbasin countertop, the new “pièce de résistance” meets the highest aesthetic standards in the bathroom. 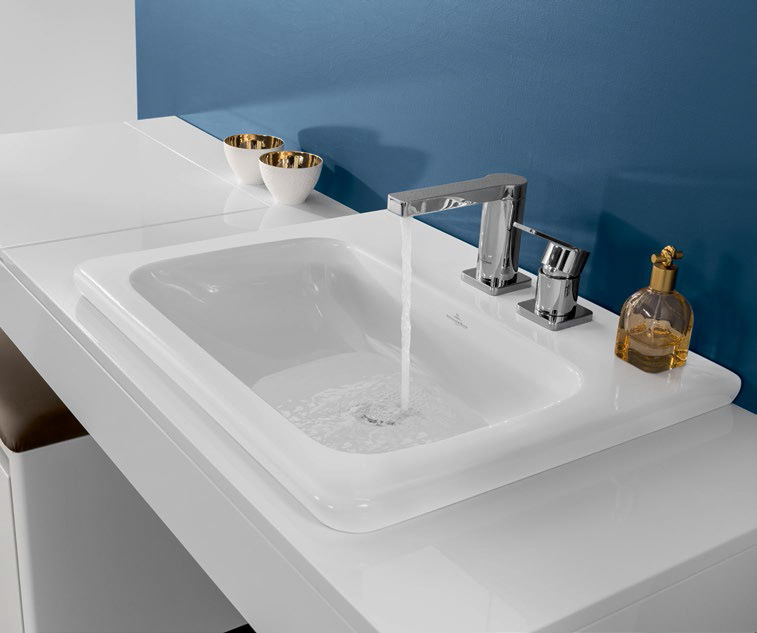 Distinctive forms with contemporary flair: originally designed by Conran&Partners exclusively for Villeroy&Boch, Aveo New Generation offers light, delicate washbasins and furniture in a natural look. 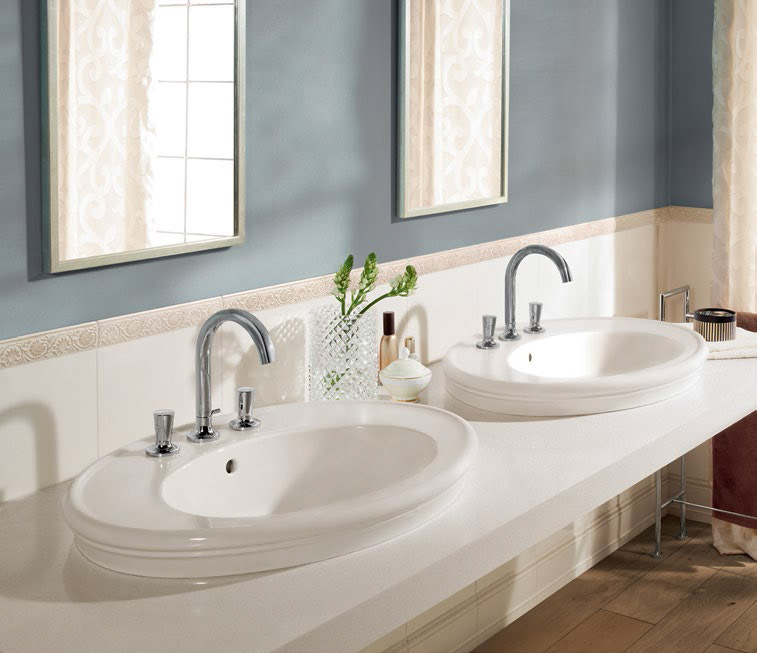 The curved fronts harmoniously complement the oval form of the ceramics. 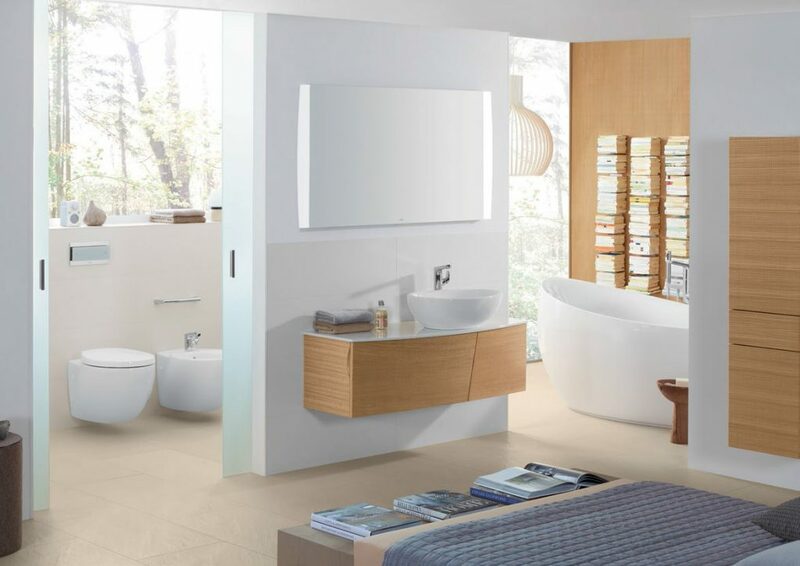 Real wood veneer such as Dark Oak and Pure Oak plus the Glossy White Lacquer finish emphasise the high-class design. 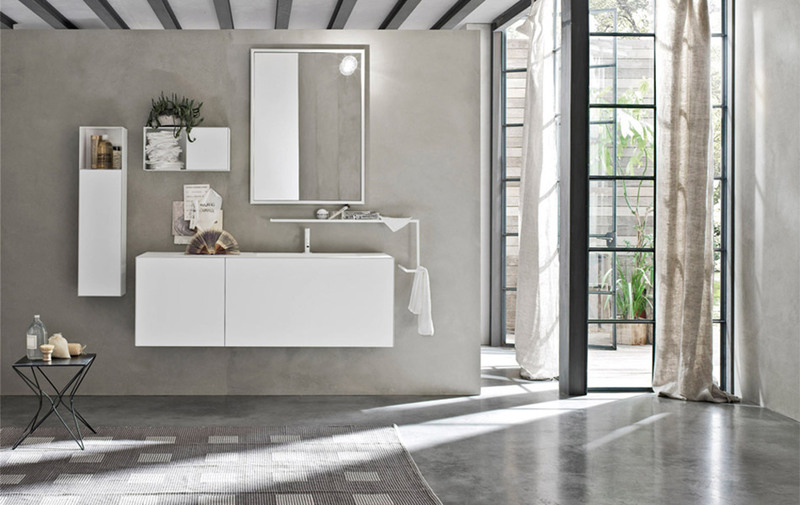 The collection can also be combined with selected surface-mounted washbasins from the My Nature or Loop&Friends collections. 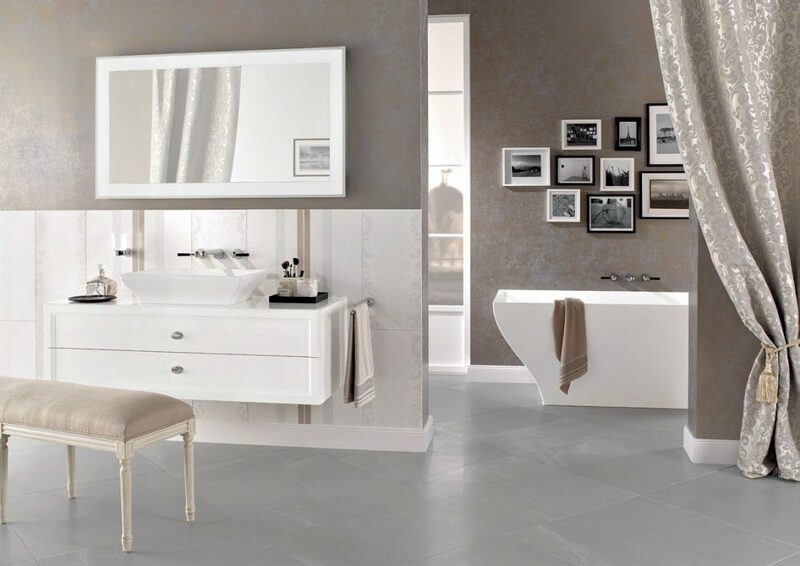 An individual solution for the modern home LIGHT TILE is a light concept that can be used to great effect in interior design. 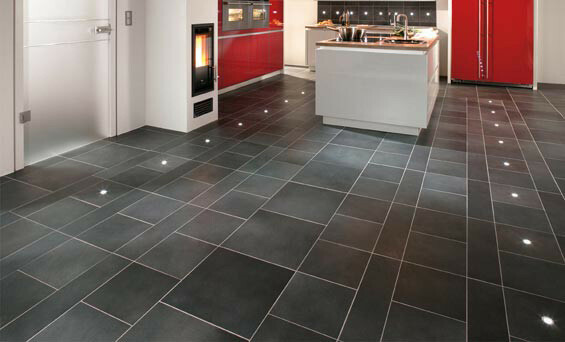 LIGHT TILE® integrates state-of-the-art LED technology into high-quality, waterproof tiles for walls and floors. The tile is transformed into a source of light – and the light source into a decorative, LIGHT TILE® is available in round or square form. 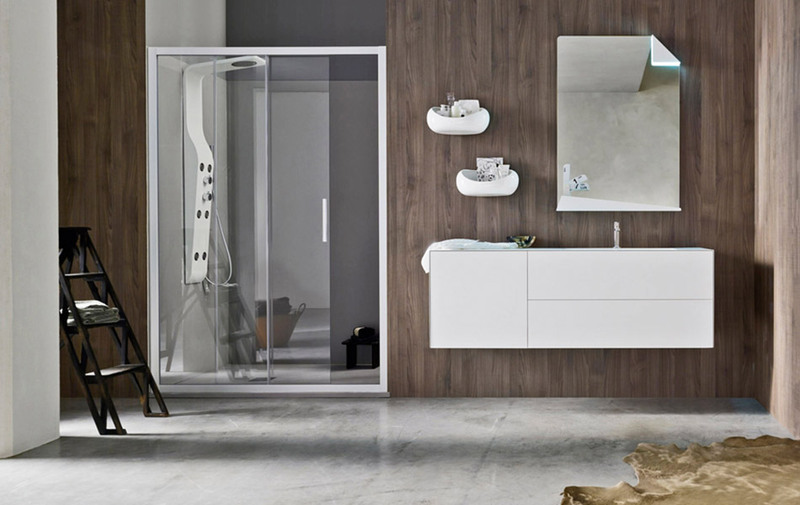 The My Nature collection interprets the desire for simplicity in a modern way. 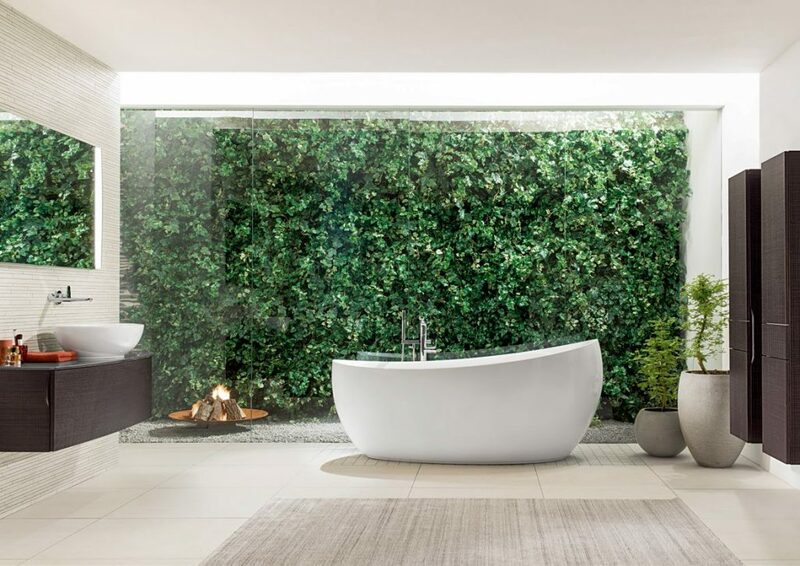 The fl owing lines of the high-quality ceramics create an exquisite minimalism with a visual appeal that promises true relaxation. 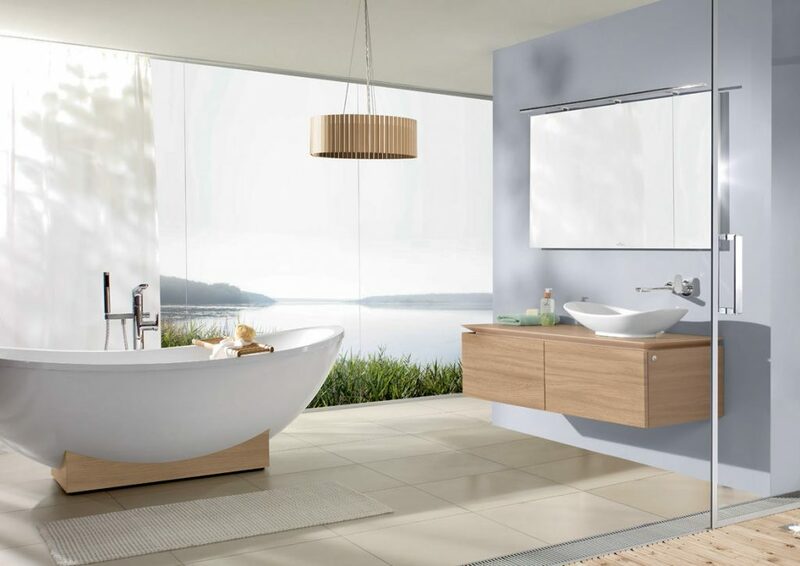 Every product in the My Nature collection demonstrates a sensuous lightness and natural vitality: the soft curving shape of the baths, supported by a premium wood frame, creates a modern ambience in the bathroom. 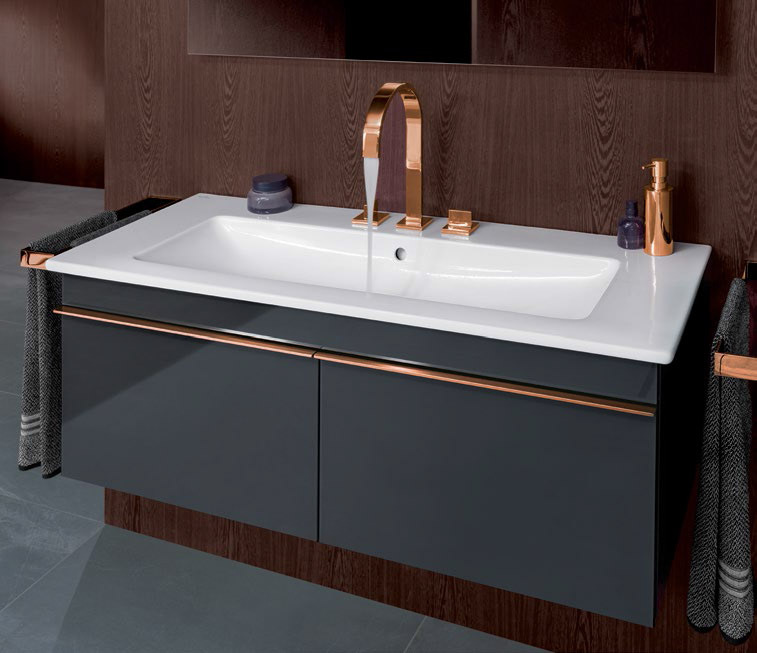 The Castanea décor that feels pleasant to the touch can be used to add a special aesthetic highlight to the elegant washbasins. 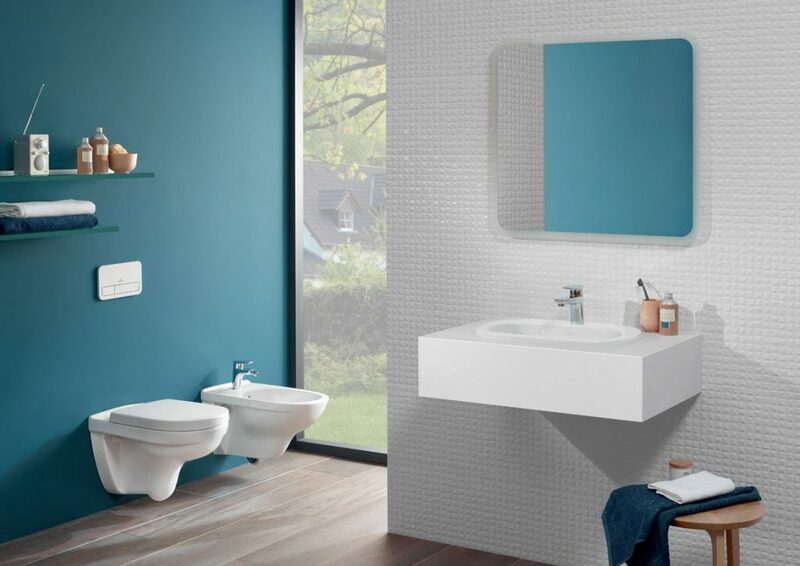 Design all along the line to meet the highest requirements for modern, individual bathroom design. 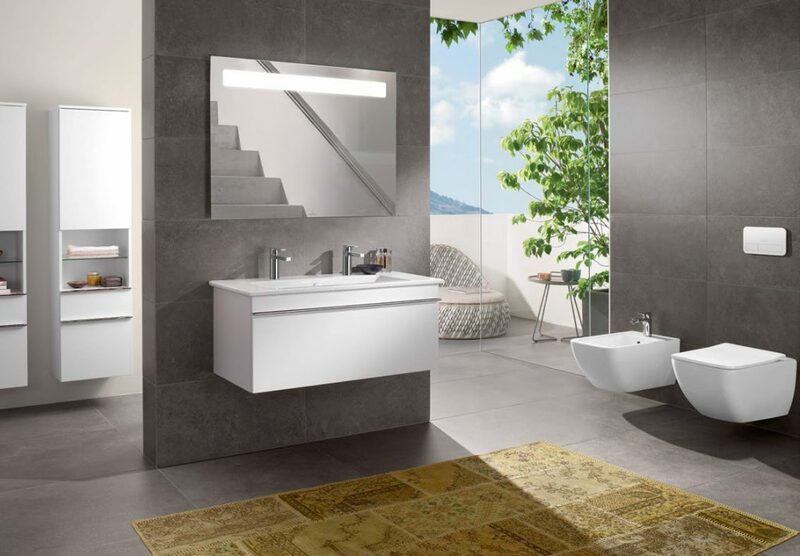 The new Venticello bathroom collection impressively combines form and function: very thin edges for a trendy, delicate design creating a sophisticated effect and featuring smart details, and part of a large product family. For a unique sense of space. Always a fitting solution, always distinctly individual. 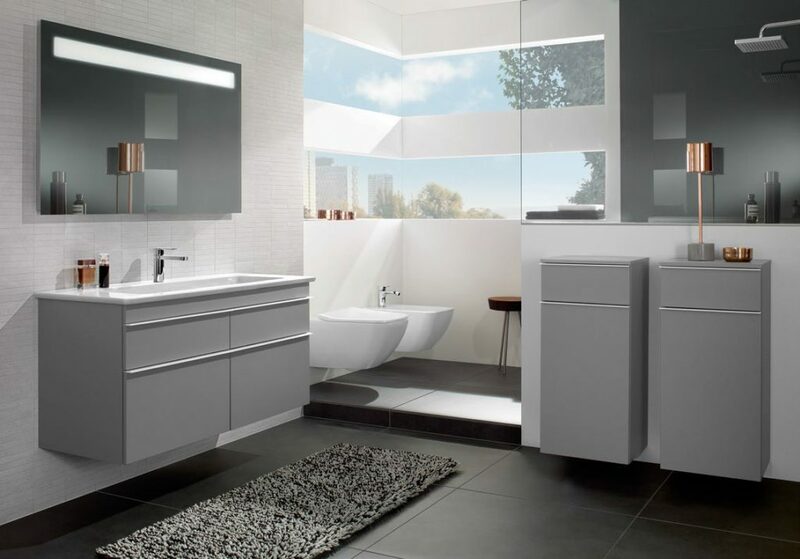 Clear-cut and timelessly modern, Legato is a complete bathroom collection of uniform elegance for sophisticated tastes. Straight-lined ceramics perfectly complement the expressive design of the successful furniture programme. 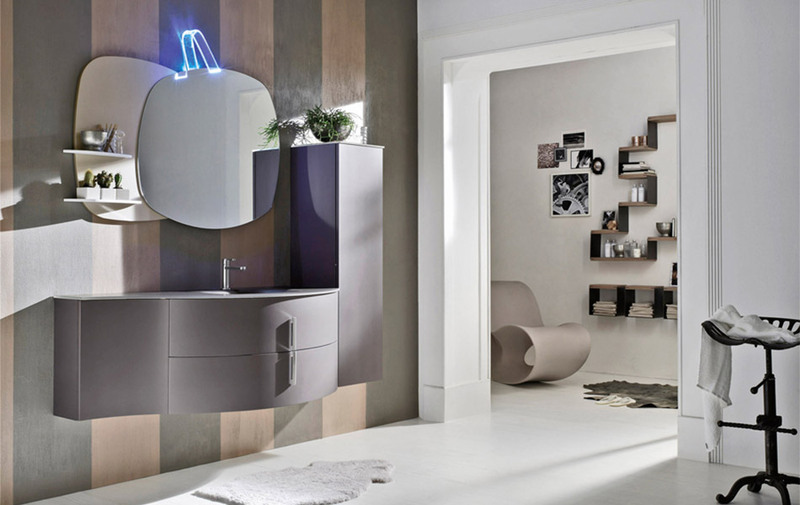 The washbasin, in particular, appears to hover: an effect that can be further heightened at night with the optional LED lighting. 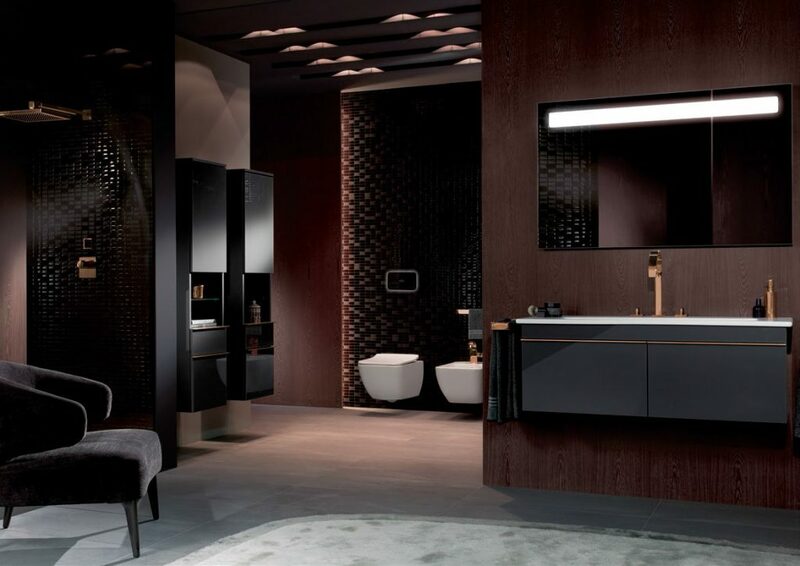 The handle-free, commodious furniture now also comes in the on-trend colour Black Matt Lacquer, offering plenty of scope for combination – for a bathroom that’s as unique as your style. O.novo makes the decision easy for you! 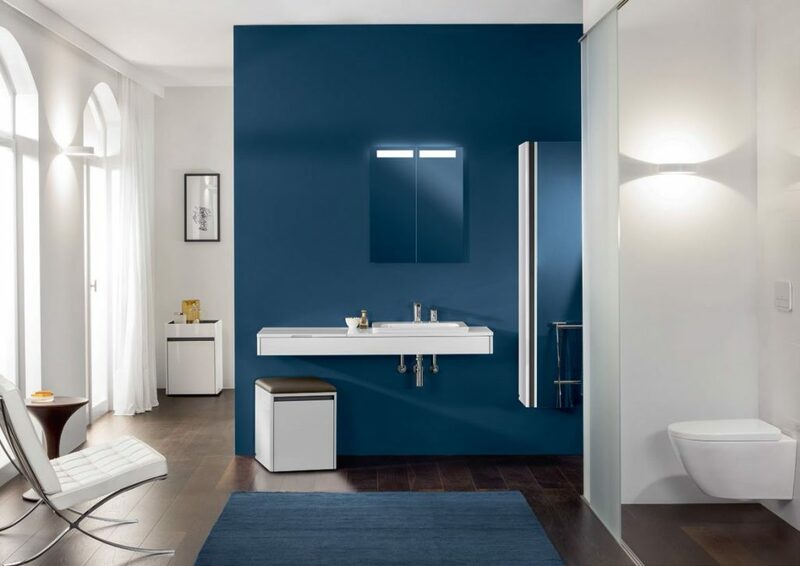 This particularly flexible bathroom collection offers an almost endless variety of models, ranging from different washbasin variants, and hand washbasins to shower trays, baths and water-saving toilets. 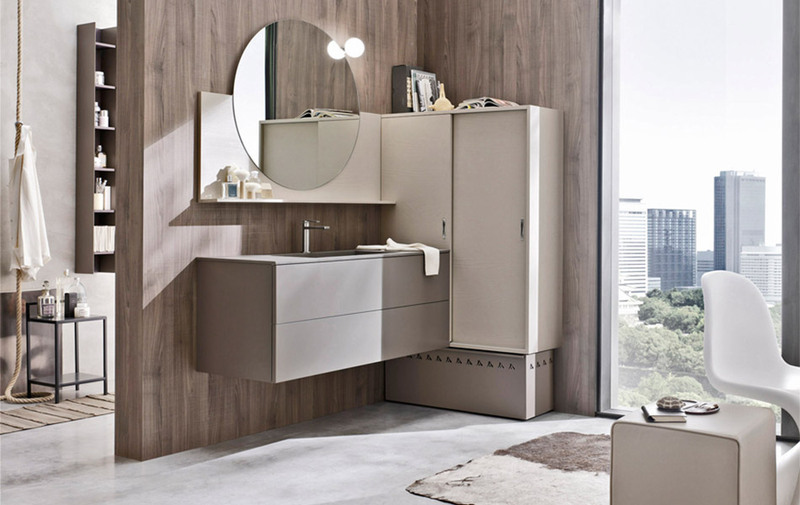 With O.novo you can furnish an entire bathroom — and at surprisingly good value for money. Eco-mortar to the sliding columns. 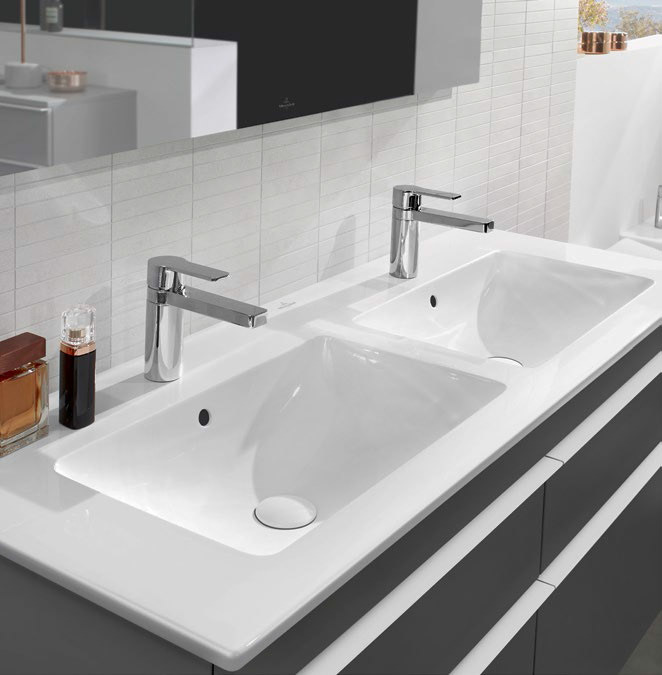 Clean shapes and materic elements in the same environment. 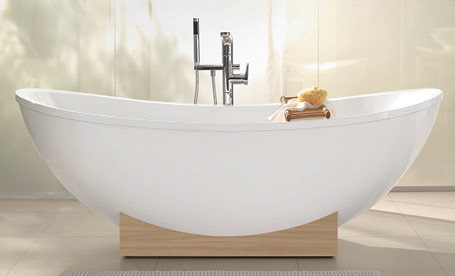 Forms of painted metal, thing and rounded, style and elegance to give details of the bathroom furniture. 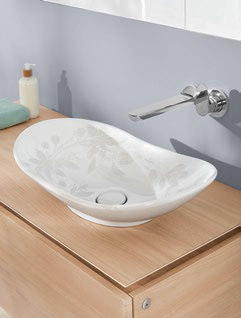 Washbasin in Corian with hole for towel. Fall in love with curved lines and harmonious and daring. 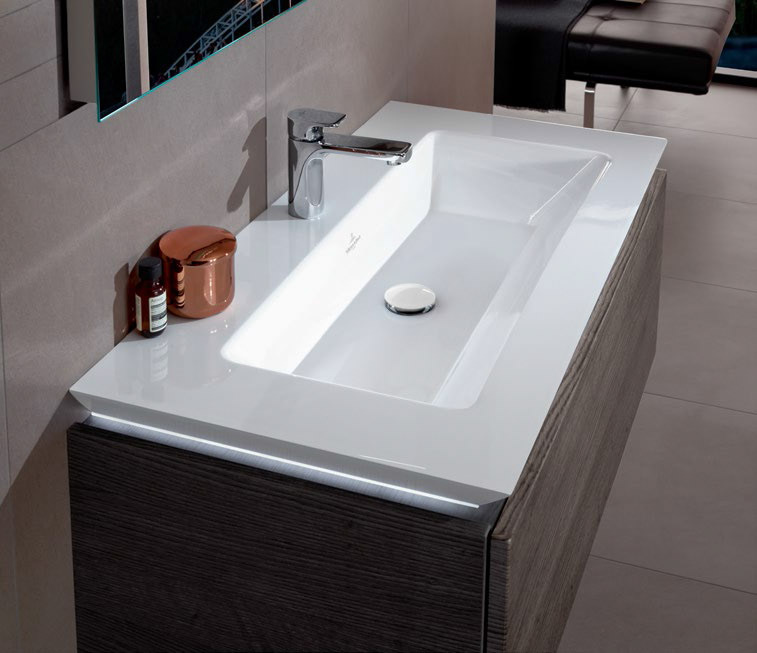 Mineral Marble plane model Onda available in Gloss Bianco finishing.